The Department of Rural Development and Agrarian reform (DRDAR) have identified the community of Chevy Chase with forestry potential for establishing a community-based commercial afforestation project. 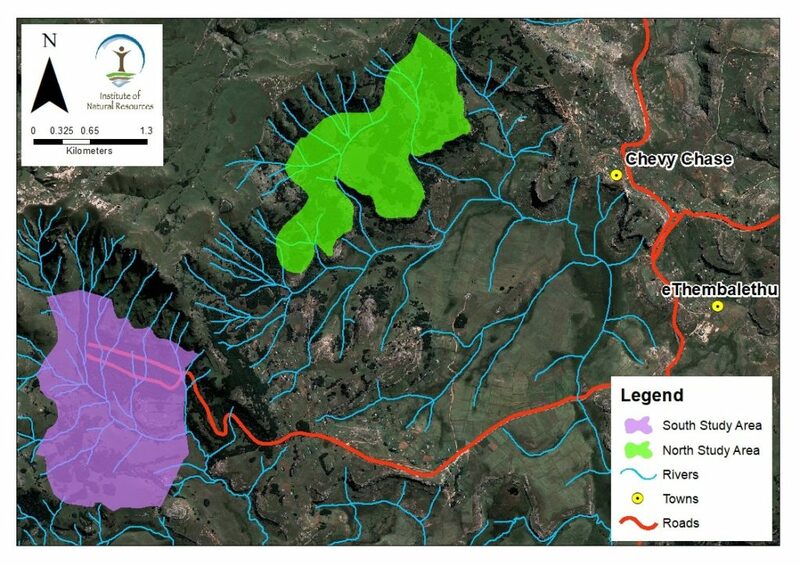 The Chevy Chase community falls in the T34G Quaternary Catchment between the towns of Maclear and Mt Fletcher under Chief Montoeli Lehana of Batlokoa Traditional Authority in the Elundini Local Municipality, Joe Gqabi District – Eastern Cape Province (Figure 1). The total area suitable for afforestation in Chevy Chase is estimated at 609 hectares and as such will trigger the need for an application for environmental authorization supported by a Scoping and Environmental Impact Assessment (SEIA) process in terms of the National Environmental Management Act (Act 107 of 1998) and the associated Environmental Impact Assessment Regulations R327, R325 and R324 of April 2017. The project will also require a Water Use License in terms of terms of Sections 21 c, d and i of the National Water Act (Act 36, of 1998). The Institute of Natural Resources NPC (INR) has been appointed as the Environmental Assessment Practitioner (EAP) responsible for managing the Environmental Impact Assessment (EIA) process for the Chevy Chase community forestry project. Rural Forestry Development (RFD) will be providing specialist forestry assistance on the project. The physical alteration of virgin soil to agriculture, or afforestation for the purposes of commercial tree, timber or wood production of 100 hectares or more. Inform/invite any person, company, authority or other entities that might be directly or indirectly affected by the proposed activity to register as an Interested or Affected Party (I&AP). The SEIA Process involves the following phases and activities over a maximum period of 352 days. Below is the process flow summarising the SEIA process and the corresponding time frames. Scoping Phase – The purpose of scoping is to provide an understanding of the project and the receiving social, economic and biophysical environment, and identify how the project may impact these receiving systems – both positively and negatively. The scoping phase therefore identifies significant issues that require investigation during the impact assessment phase. This is achieved through various means including public consultation. The outcome is an Environmental Scoping Report (ESR) which documents the alternatives to be investigated in the EIA Phase and the terms of reference for the specialist studies required to assess these issues. The ESR will be circulated to all I&APs before approval by the Department of Economic Development, Tourism and Environmental Affairs (EDTEA). Environmental Impact Assessment Phase – This phase involves the detailed investigation of the issues and impacts identified in scoping. An integrated assessment of the issues of concern and potential environmental and social impacts will be evaluated during the Environmental Impact Assessment process. This includes the consideration of potential mitigation measures and culminates in a recommendation as to whether the project is sustainable and should proceed or not. Mitigation and management measures will be documented in a draft Environmental Management Programme (EMPr). The Draft EIR and EMPr will be circulated to all registered I&APs for comment with responses provided before submission to EDTEA for a decision. Decision – The competent authority’s decision is circulated to all I&APs. Appeal Process – Formal process through which I&APs or the proponent may appeal the decision. Afforestation projects are subject to a range of regulatory processes in terms of a variety of legislation and policy. 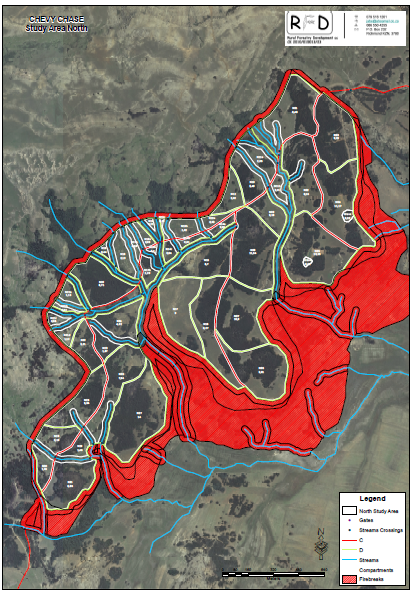 Conversion of Natural Veld in terms of the Conservation of Agricultural Resources Act (CARA). A need for a resolution confirming community acceptance of the proposed project on their land. This was achieved in December 2014 through a formal process vetted by the Department of Rural development and Land Affairs (DRDLR). A license in certain cases to destroy Archaeological Resources – in terms of the South African Heritage Resources Act. Several of these processes require similar information, a management plan, and/or level of public consultation to support the application for a license. The following specialist studies have been identified as likely given the nature of the project and the receiving environment. 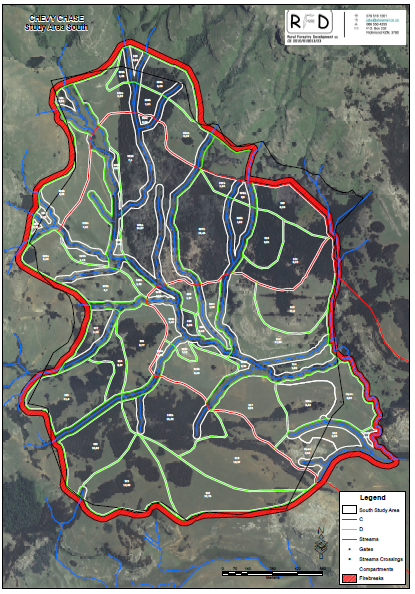 They will also inform the forestry planning process. Additional studies may be required and will be identified, documented and recommendations made as a conclusion to the scoping process. Public Participation is an integral component of the EIA process as it provides the mechanism through which the I&APs may participate in the process and inform decision making processes. Meetings were held with different sectors of the community on the 04 to 05 March 2019 to provide opportunity to identify issues of common concern and alternatives for consideration in the EIA process. Sectors that were engaged included but was not limited to: members of Traditional Authorities; forestry project steering committee; livestock owners/rangeland management and youth groups and the general community of Chevy Chase administrative area. Purpose of the meeting: Introduce the EIA process and identify key sectors of the community. Purpose of the meeting: Focused Group Discussions (FGD) with key sectors of the community to document issues of common concern and alternatives for consideration in the EIA phase. I&APs may register via the INR website by contacting the INR by telephone or email (details below). I&APs are urged to inform any other parties (neighbouring communities, community organisations etc.) who may be interested and/or affected by the proposed project and encourage them to participate in the EIA process. Any comments regarding the proposed project are submitted within the set timeframes. The BID and other project information will be made available on the website and circulated to registered I&APs. I&APs may contact the INR for further information regarding the project or the EIA process. The Draft Scoping Report and the draft EIR will be circulated to I&APs for comment. Distribution of Final EIA report to all I&APs will be both electronically and hard copies (which will be made available at central, publicly accessible locations).